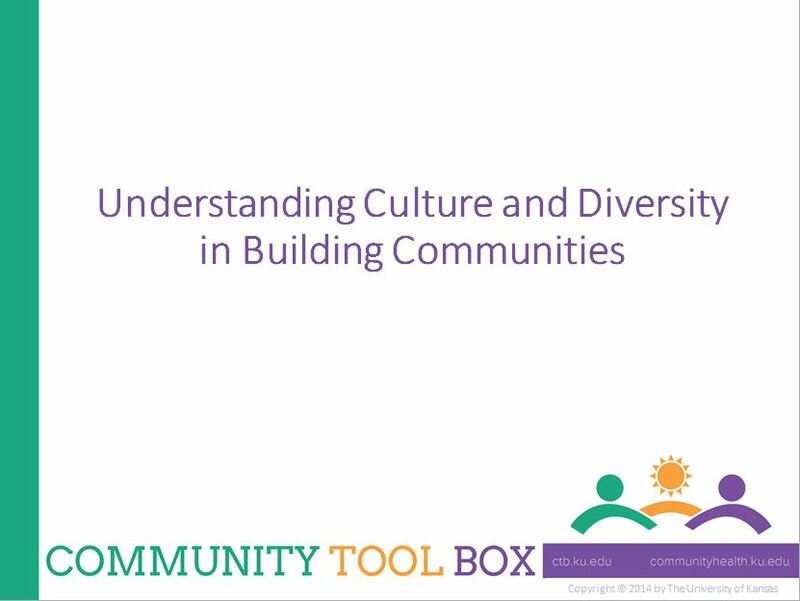 This resource provides a comprehensive list of questions to ask when developing a plan to become more inclusive of community members. 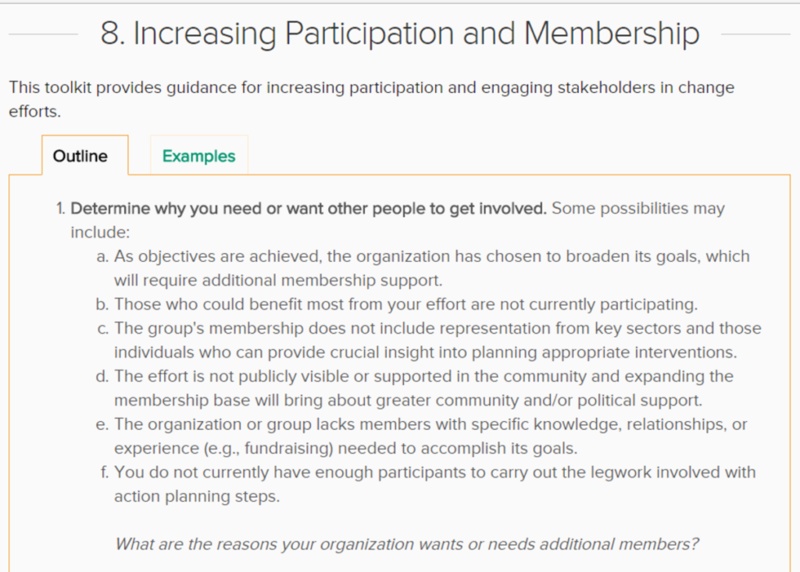 It offers a checklist of action, examples to study and a PowerPoint presentation that summarizes the key points in the section and could be used as a foundation to customize for the organization. 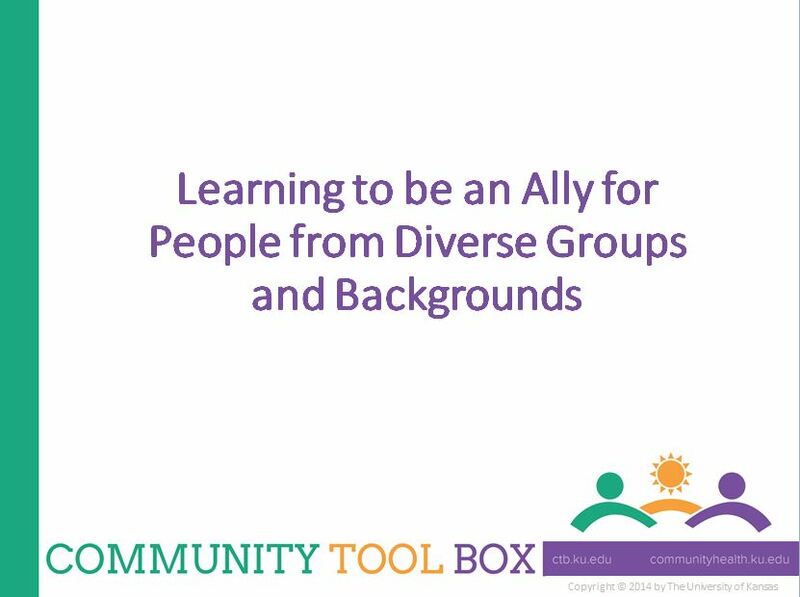 Community Tool Box is a free, online resource for those working to build healthier communities and bring about social change. 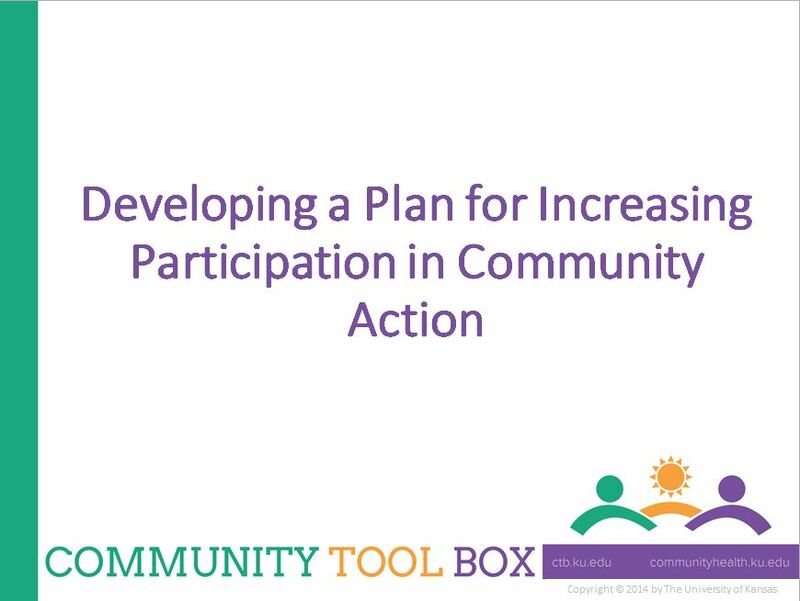 The mission is to promote community health and development by connecting people, ideas, and resources. 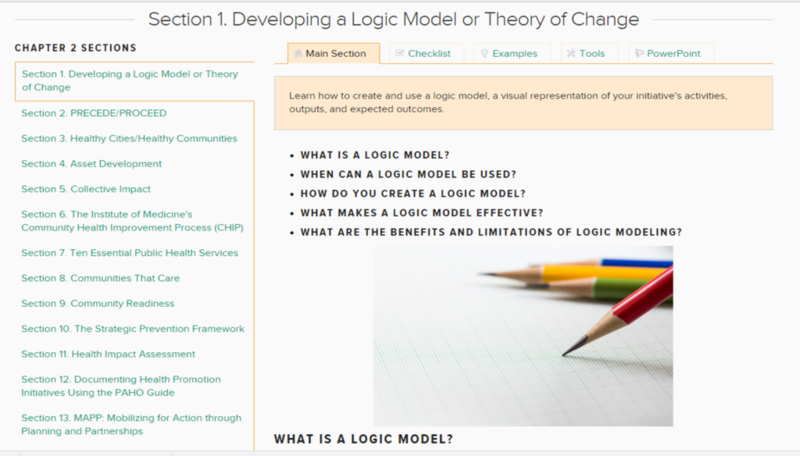 Learn more at ctb.ku.edu.